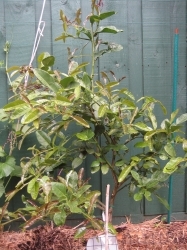 I think it is grafted but I am not entirely sure. 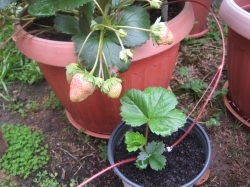 When I bought it it already had some berries. It was planted same time as my black currant. Yummy refreshing berries. It is shaded most time of the day as sunshine does not directly hit its spot but it is growing well. 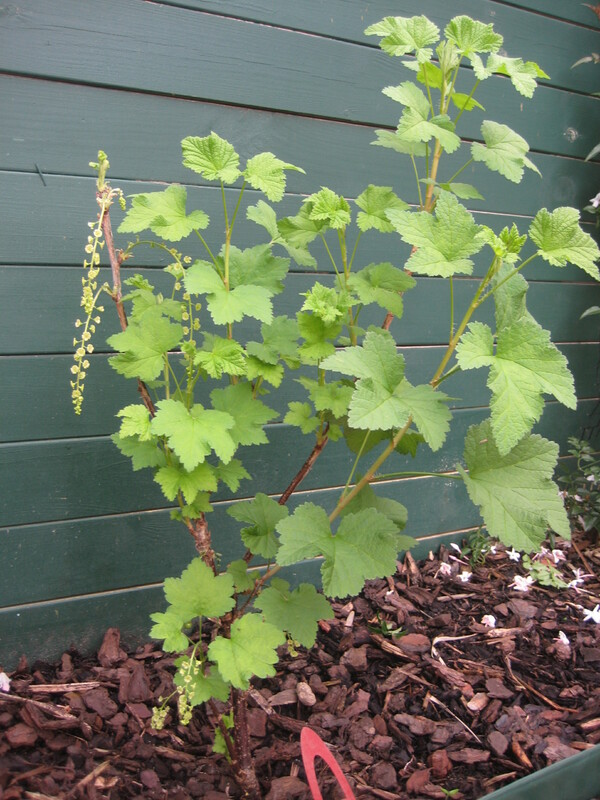 Sept 2011 : Went dormant earlier than my black currant but re-grew earlier in spring and already has new flower clusters. 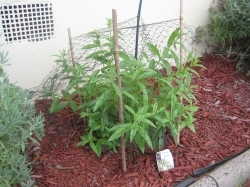 Pest Control: Caterpillars. Squashing and watching best control. Comments: - This black currant was planted roughly Oct 2009 but till now I have not got a single berry. 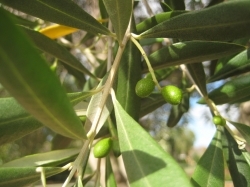 It is flourishing in terms of vegetative growth and is in a good sun position. 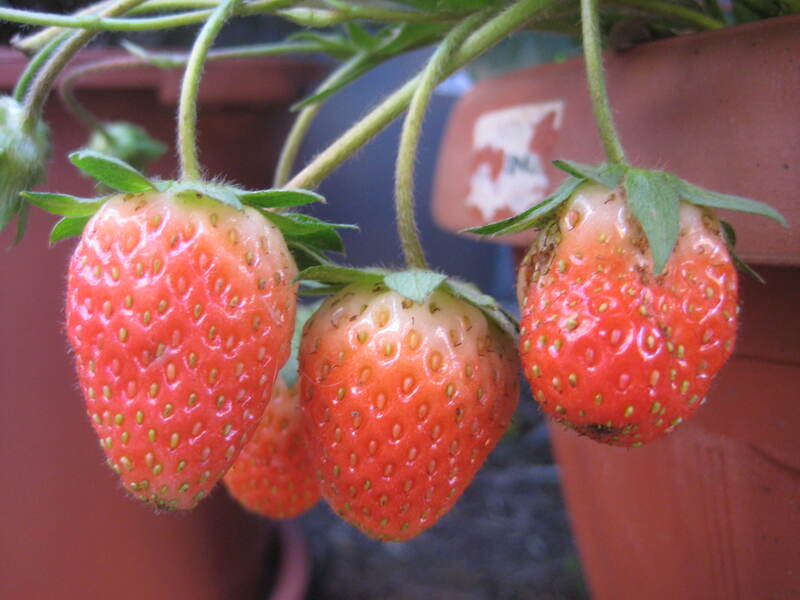 Question: Why isnt it fruiting? Have given potash in winter and dynamic lifter. This peach tree was transplanted from my friend's garden. 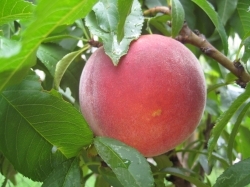 It is about 2YO when moved but it transplanted extremely well and bore flowers and fruit the first year on our property. 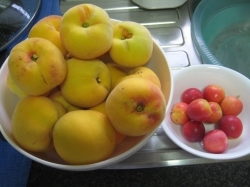 The peaches are yellow clingstone and I have no idea what variety it is. They are crunchy and sweet and the favourite tree of my husband who has no interest in gardening. Pest Control: Lime Sulfur before bud swell but it still got a fair bit of leaf curl. Will do twice a year of lime sulfur. 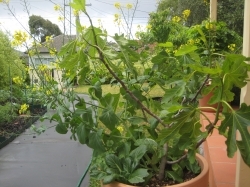 Question: If I want to control the size of this tree, should I trim it in spring/summer so that I allow it to have time to grow new shoots before it goes dormant in winter? 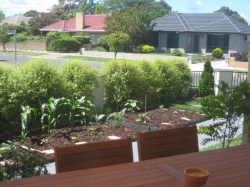 If I trim it only in winter, wont I lose a season of crops??? 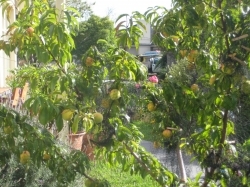 This pomegranate is already here when I moved in. 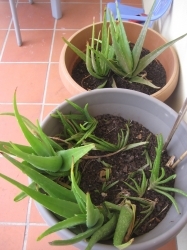 It is not very big and I have not seen any fruits yet...lots of leaves and I dont fertilise it...just regular watering. Dec2010 : Two flowers grew but dropped off. Under the patio where there is partial sun & shade, the aloe vera plant is doing very well. It needs only ocasional light watering. 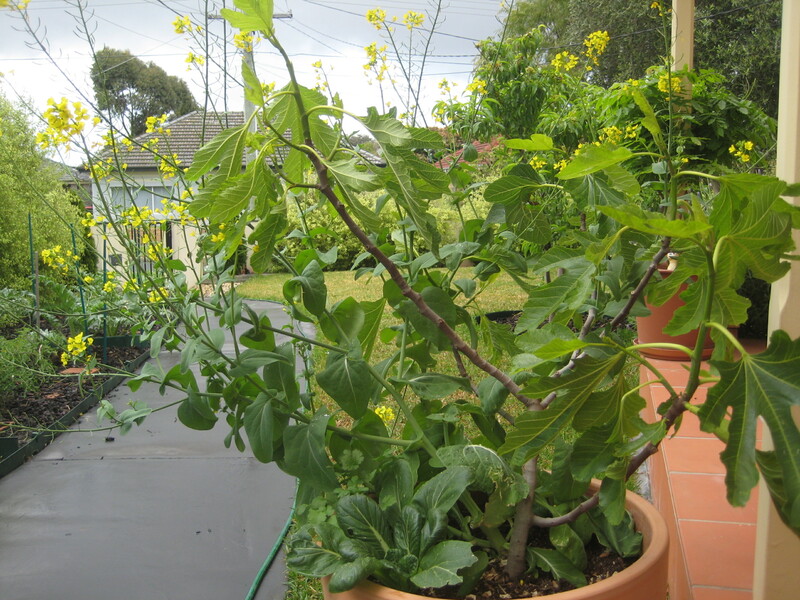 In winter, I use a fleece & pegs to wrap around the whole pot to prevent any frost. The mother plant has gone so big I harvested and make a a dessert out of it (white fungus, gingko nuts, aloe vera flesh, rock sugar, canned longans). There are lots of pups growing and the pot is overcrowded that I needed to repot some pups and give some away. Oct 2009 Still tiny but growing. New leaves are a bit distorted and curled. Hope it will crawl up my patio support pole and onto the surrounding...will be very pretty sight. 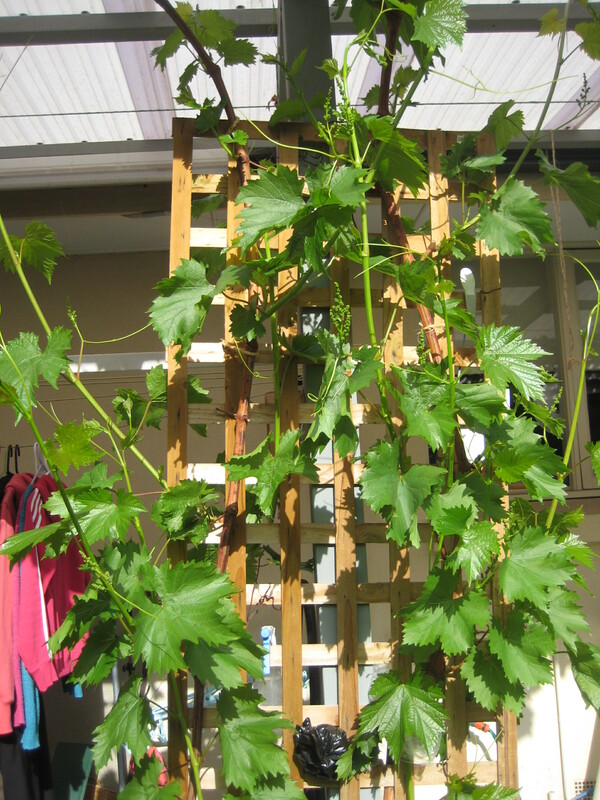 Sept 2011 Finally this spring this vine has produced lots of flower clusters. It's two leader vines are crawling on both sides of my roof beam. 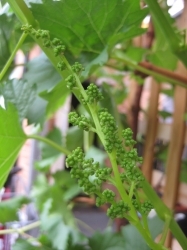 Question: Do I need to remove extra new season's shoots/ flower clusters so as to allow the stronger ones to develop into grapes? 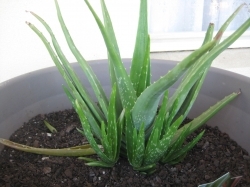 Had it in a pot before but it started not to do well so i planted into the ground. It also did not do well. After researching i found that it had iron deficiency and after feeding iron chelate, it become very healthy and even flowered and fruited. I use the leaves (dont use the fruit at all) in Thai and Asian dishes such as tom yam soup and curries and rendangs. 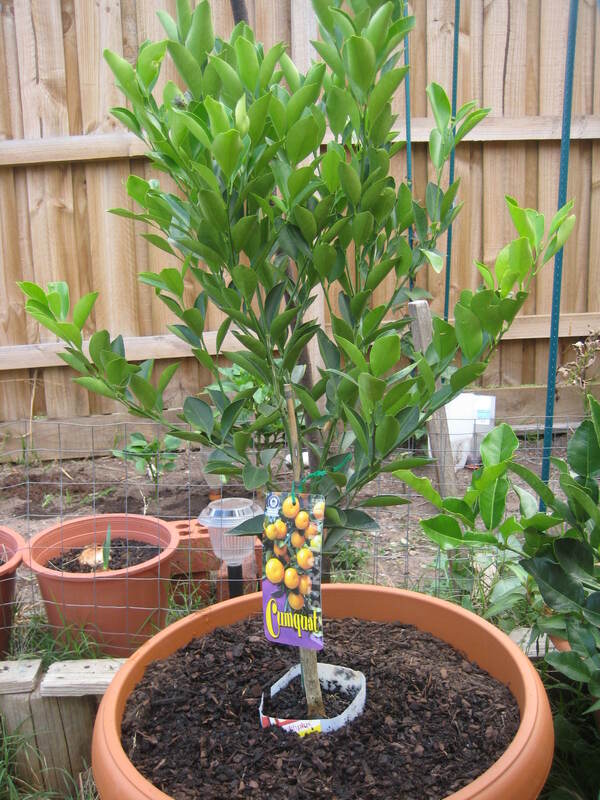 So far this is the only citrus that is thriving in my garden. It is slow-growing and more than enough to meet the needs of my family. I hardly water it eversince it was well-established and only water during hot summer days. 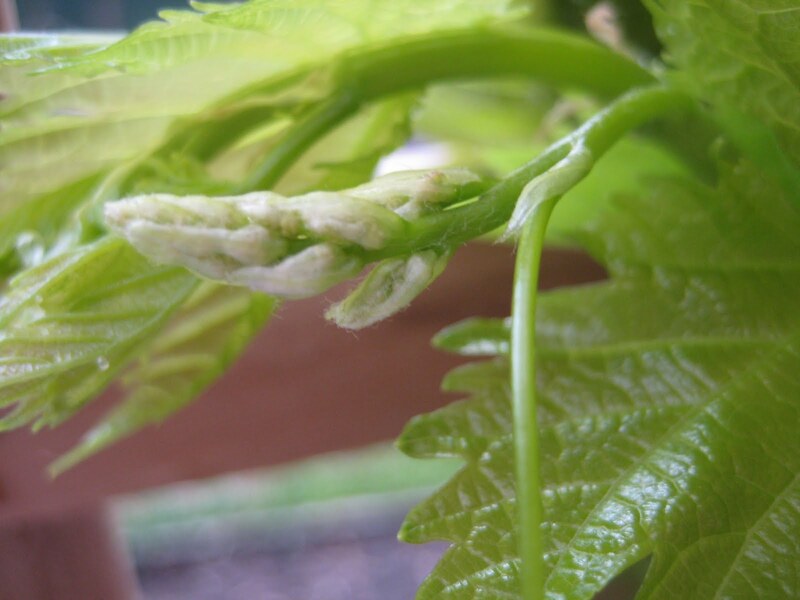 Pest Control: Occasionally I get aphids on the young juicy leaves but usually easy to deal with at the early stages of infestations. 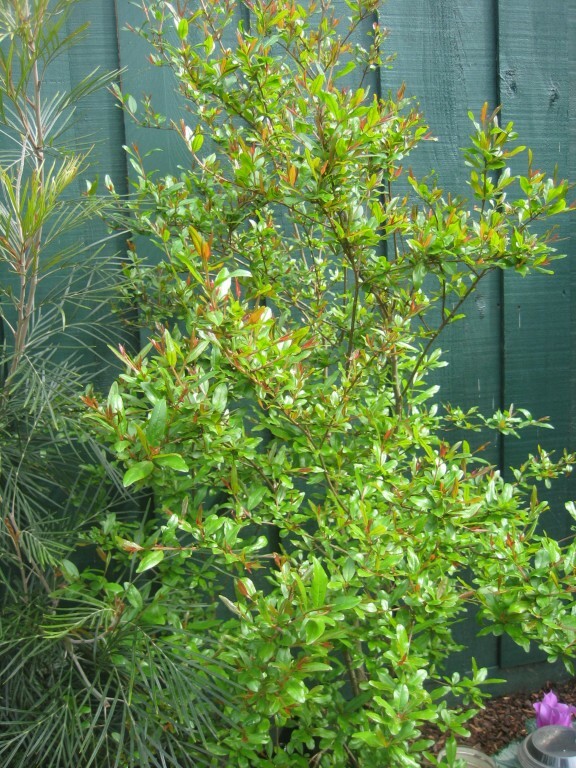 Just got to get my eyes peeled during spring new growth. I have two brown turkey figs. Both are in pots. 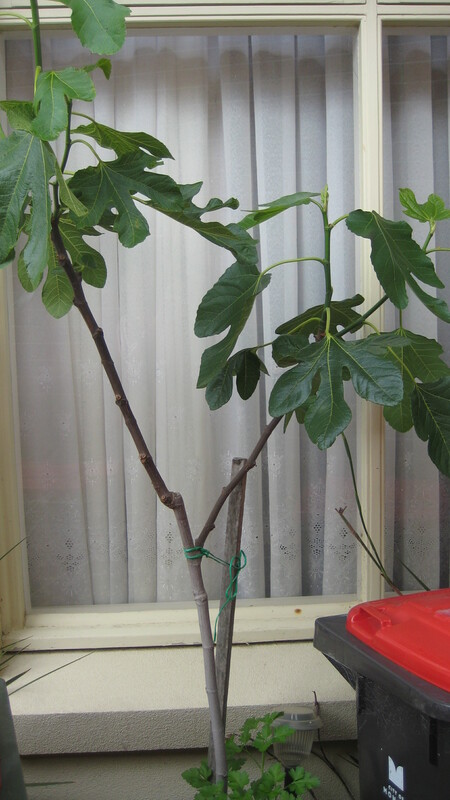 One is having developing figs while the other was thought dead till it started to produce green buds and now leaves. 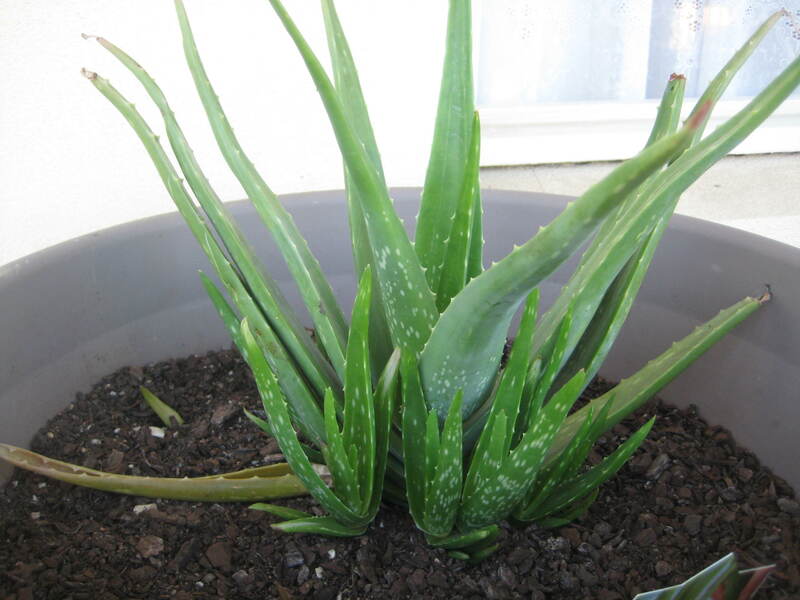 Am very very estatic that it is alive and glad that I did not give up and bin it...It is from Fleming's nursery. 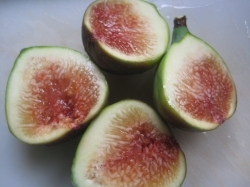 The other one is just another brown turkey fig tree from a normal nursery and was much cheaper.However, this brown turkey tree did far better than the Fleming's in terms of growth/development and in fact figs from both trees taste equally good. No sprays but netting done to deter birds. Well, it is just a dwarf sitting in a pot but gives me full size juicy, sweet and fragrant pretty red peaches! My son is not a fruit lover but he adores the pixzee peaches! It is small and easy to care for. 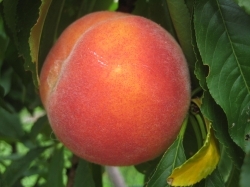 This peach is in its second summer. 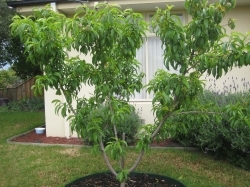 Mancozeb for peach curl in winter dormant time. This tree has been a pleasure to have though it hasnt produced tons of fruits. It does flower quite a bit. I find it a very pretty ornamental fruiting tree. It is in a pot. After adding potash, it put on lots of lowers and then fruits but fruits did not grow very big. 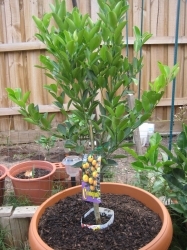 Oct 2010 : Learnt from Better Homes & Garden that a fat root stock with thin trunk (like mine) means the citrus tree is hungry. 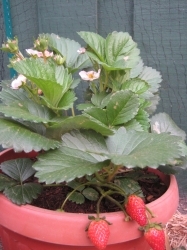 Fertilised with lots of potash & blood and bone and Seasol this time, hoping for more flowers and bigger fruits. I have five clumps of this at various spots in the garden. 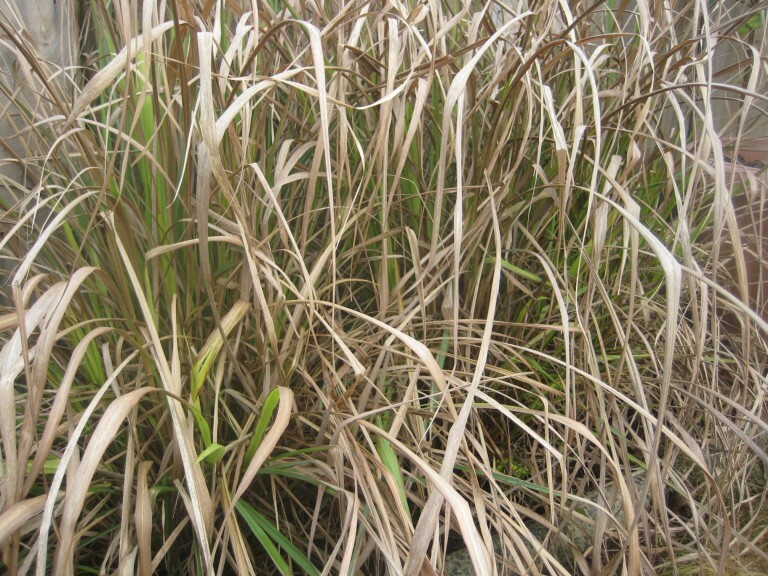 Looking forward to having my own lemongrass for cooking. 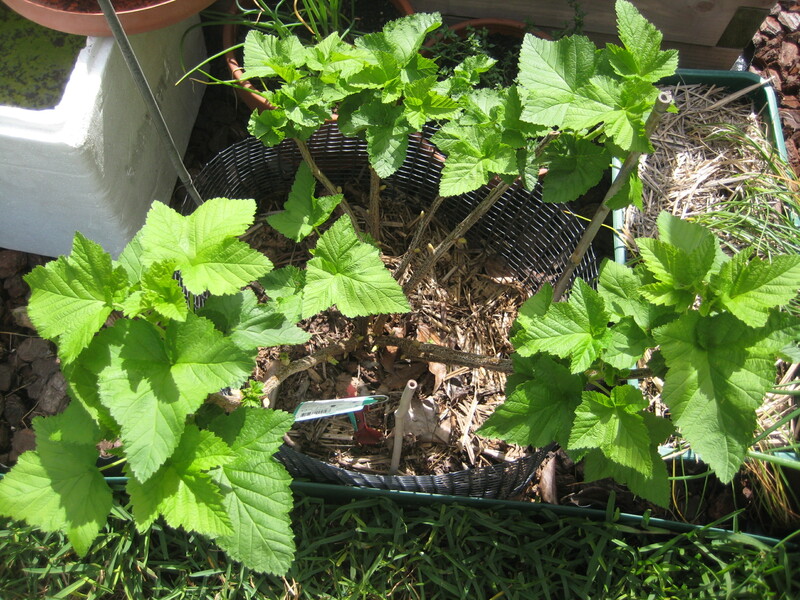 Oct 2010 : The five clumps look all brown and dry after winter. 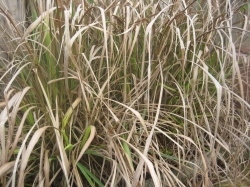 The stalks do not look fat enough for harvesting after one year in the ground. 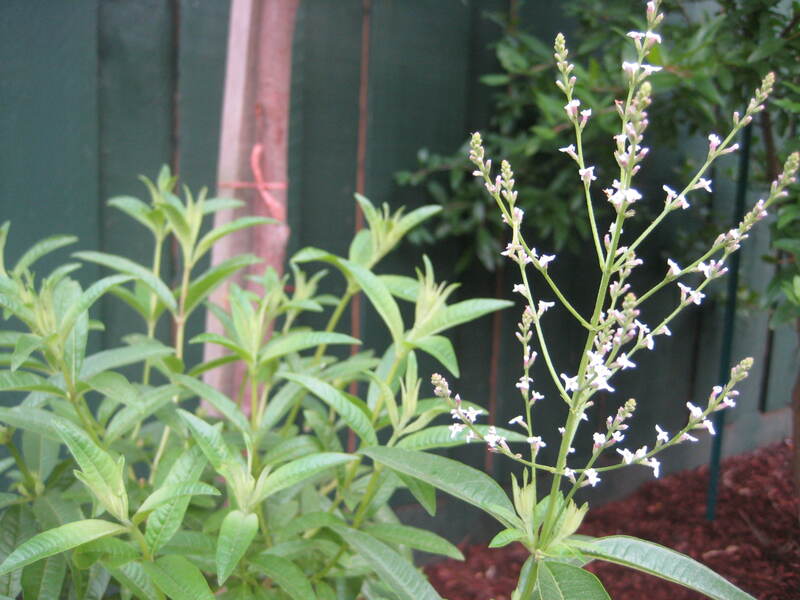 Love this herb. 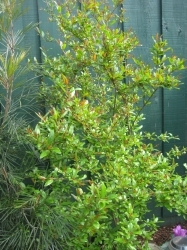 It has a wonderful lemon smell and I use it for making tea. Oct 2010, last winter every single leaf turned yellowish and dropped. I thought it had given up on me. 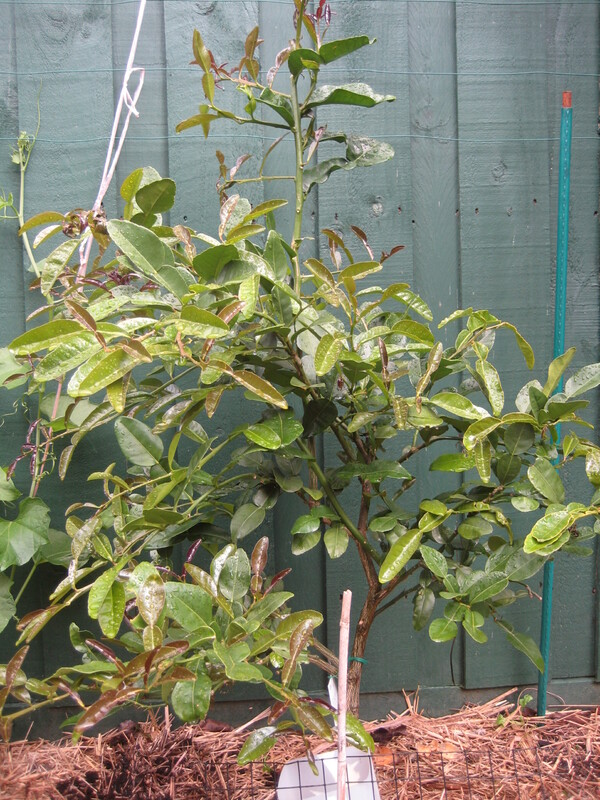 Came spring and after some pruning, some new leaves are growing. Yipee! I love this pot of strawberry. It is quite easy to grow in pots and has given me enough to eat. Propagating new ones. Prone to caterpillars so it has gone under netting. I fell in love with this olive tree when I saw it. I just love the look of them. It must be quite old already as it is huge.